The hydrodynamic limit for a kinetic model of chemotaxis is investigated. The limit equation is a non local conservation law, for which finite time blow-up occurs, giving rise to measure-valued solutions and discontinuous velocities. 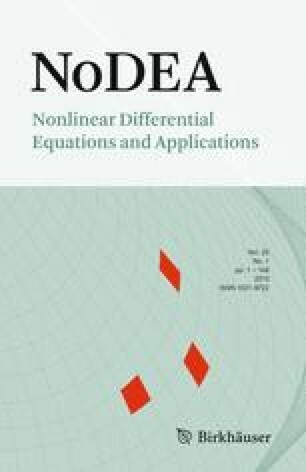 An adaptation of the notion of duality solutions, introduced for linear equations with discontinuous coefficients, leads to an existence result. Uniqueness is obtained through a precise definition of the nonlinear flux as well as the complete dynamics of aggregates, i.e. combinations of Dirac masses. Finally a particle method is used to build an adapted numerical scheme.